Don’t miss what might be the last big outdoor festivals of the season! Eastside Services hosts their annual fundraiser this year, featuring over 30 breweries bringing awesome local and national beers to the Twin Cities. This is a super fun festival. Last year there were tons of people, but not so many that all you did was just stand in a line. – It’s fun without being overdone. This beer fest is one of the “Thriftiest” ones all year. Tickets are $30-35 (compared to $50+ other beer fests) and include unlimited sampling throughout the day. But more importantly, the Nordeast Big Brew Fest is a benefit for Eastside Neighborhood Services. This is a really good group that focuses all of their efforts directly on NE Minneapolis. They run lean, with a mostly volunteer team and ensure that the money goes directly toward programming. Their focus is “on teaching people to fish” – education and supporting people that need a little boost to better their lives. So not only do you get $50 worth of beer for $30, but you know that the money goes directly to people that deserve it. BIKER? Bring your bike, the Behind Bars Bike Shop (they refurbish sweet rides) will be offering free tune-ups to event guests. PLUS… ThriftyHipster.com, Farmina Pet Foods, Premium Waters, Inc., Hammer-Schlagen®, Hy-Vee Healthy You Mobile, International Cigars, Naked Juice, TruStone Financial Federal Credit Union, Hippy Feet, MN Nice Cream, Clearwater Creek Customs, Pedal Pub Twin Cities, Behind Bars Bicycle Shop, henna tattoos. 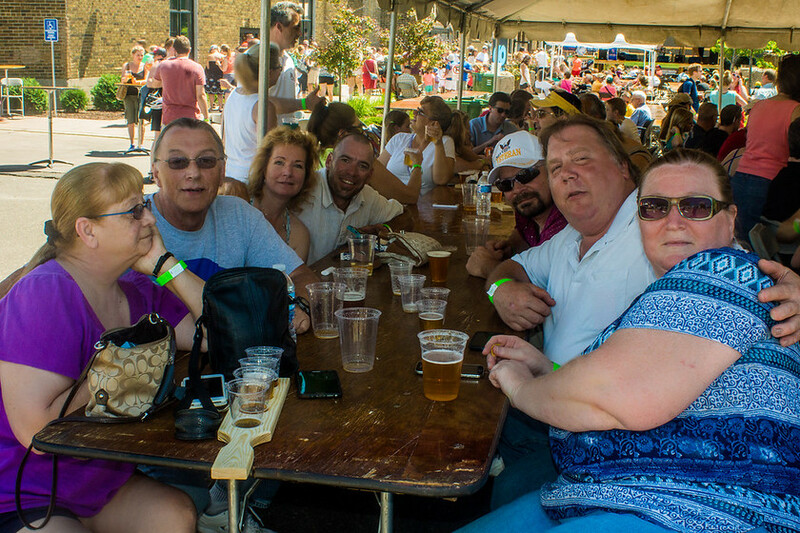 More intimate beer fest let's you meet the brewers and support a great Twin Cities cause!